Remarketing (also known as retargeting) is the method by which online advertisers "re-deliver" advertising to you based on your previous online interactions with their business. It's based on the fact that those familiar with a business are more likely to engage with their advertising. Someone who's browsed software product page, for example, can be remarketed to by ads to try and convince them to come back and sign up for a free trial. Remarketing is a powerful tool in advertising because it works. In fact, compared to a regular website visitor, one who is retargeted via advertising is 70% more likely to convert on an offer. If you're looking for help to improve your remarketing campaigns you've come to the right place. In this article we'll do a deep dive into remarketing strategy and what it takes to be successful with remarketing. We'll go over 12 remarketing strategies for better advertising campaigns and more converions. 1. 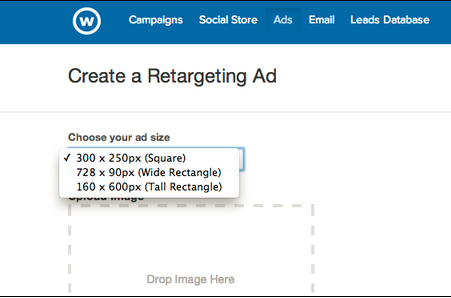 Remarketing Strategy: What pages are you tagging? One of the fundamentals to a successful remarketing campaign is determining what website pages you should tag. This is across the board - whether you’re tagging with Google Analytics remarketing code, an AdWords remarketing code or a third party remarketing tool. Determining what landing page to tag is directly related to your marketing objectives, as these are the pages from which you’re setting up your entire ad campaign around. Let’s say your company wants to generate 20% more leads within a 30 day time period. You might decide to tag (and remarket to) bounced visitors of your three top performing lead generation landing pages. They would likely be the most warmed audience to increase leads in a short time. Choose to tag the three pages for your specified campaign. Or, if your company needs to increase sales by 5%, you might decide to tag your top selling product pages. Don’t treat all your website visitors the same. Segment your remarketing campaigns to more directly speak to the wants and needs of your customers. How much time a visitor spends on your site, how many pages they view, and what pages they visit can determine how aggressive or how nurturing you should be in your remarketing. For each segmented ad group, you can create different Call to Actions (CTA’s) for various sales funnel success - with links to objective based web pages. Monitor your conversion rates and create workflow segments to guide your prospects through to a sale. I’d highly suggest that you make ad creatives for all different network ad sizes. By doing so, it ensures your ad is eligible to show on every Google Ad network site you need. In other words, it optimizes your message reach and will allow you to follow your website visitor on more of their trafficked sites. You know a visitor is more interested in your business and products when they’ve visited particular landing pages. This includes bounced traffic from shopping carts and lead generating pages like ebook and webinars. As soon as they’ve left, it’s time to keep reminding those lost leads to come on back and continue your conversion process. Adjust your remarketing bid strategy to spend more on your warmer traffic by increasing your ad spend and decreasing frequency capping (we’ll dig deeper into this soon) on conversion landing pages. On the flip side, lower your ad budget for bounced traffic from your homepage and other information pages. If a visitor is still in the “checking you out” stage in the sales funnel, you should still try to bring them back. But, they’re generally not worth as much to your company - yet. Target your non-converting traffic with ad campaigns to landing pages with a soft CTA (such as a webinar or ebook download) or your information pages and blog. Spend proportionally less on your early stage visitors to increase your remarketing ROI. Use coupons and discounts to incentivize a lost shopping cart visitor to return to your product page. Someone who has visited your online store and has clicked through to a particular product page is likely very interested in purchasing that item. For whatever reason_ (they got distracted, the price point was high, they were comparison shopping, etc)_, they left your sales funnel. This is an ideal time to reach out to those lost sales by remarketing with a coupon offer. Your potential customer sees your special offer - just for them, wherever they are online. You’re more likely to convert that person (and get a sale). You also increase your brand awareness and begin to develop a loyal, repeat customer. Offer discounts to warm leads, such as a frequent or repeating visitor to your site too. If someone say, clicks on your homepage, views your “about” page, then trafficks to flip through your product pages, remarket to this segmented list with an offer of (say) 25% off their first purchase. If you have a high traffic website, your business can benefit by using remarketing to increase clicks to your non-lead generating landing pages. Focus on nurturing your bounced traffic to educate them about your business, your products and how you solve their problems. Yes, your ultimate goal is to get leads and sales - that’s what pays the advertising bills. But, by driving interested consumers to a ‘free’ page, on which you’re not asking for anything in return, you build brand awareness and nurture lost leads. When they are ready to convert, this priming often results in a higher cost sale - and a more loyal customer. Determine the duration of your remarketing campaigns. How long you’ll follow each visitor will vary based on your sector and for each campaign you’re running. Google gives you a default of 3 months. That’s great if you have a long sales funnel such as a B2B and your objective is to increase brand awareness, for example. But, if you’re in a short sales funnel, like retail, and you want an immediate sale, consider changing your follow to 30 days. Similar to remarketing duration, consider your remarketing frequency capping. This is how you set the number of times your ad gets displayed in a day, month or week to your targeted visitor. You’ve likely seen those ads that follow you around everywhere, all the time. Do you click on them? Do you ever buy from the company? Likely not. Set up a frequency cap that gets your brand seen and familiar but doesn’t also annoy the crap out your market. If you’re an online retailer promoting a limited time coupon, make sure your ad gets seen more frequently immediately. If you’re an enterprise company developing relationships and leads, tone down the frequency of your ads, and keep them longer term. Use your analytics to determine the best frequency options for your business campaign objectives. Target your campaigns to your non-converting visitors, but change up your message after a certain time period. Let’s say you’re running a remarketing campaign for 30 days. You’re offering a 25% discount for first time buyers. But, after 10 days, you notice a drop in CTRs. It could be that your market is now just fatigued with the same ad they’re seeing from you. Make a difference and create a renewed interest in your brand by changing your ad message and design. It could also be that your market isn’t responding to your deal, so instead give your bounced traffic free shipping. Change up your CTA message. Change your image too. A common best practice in remarketing is to exclude your converted customers. So, if someone downloaded your ebook or made a purchase, you would no longer chase them down online to get them to convert. This is reasonable, but I’d say it’s not always the best way to generate repeat customers and increase brand awareness. I’d suggest you tag your post-conversion landing pages to remarket to customers who’ve already converted with you. Create a clever remarketing campaign to retarget your market with a low frequency and longer duration to keep your brand top of mind. Have a sale in 6 months, retarget to your previous customer list. Are introducing your new fall fashion, increase your member duration to retarget heavily when your new stock arrives. Introduce a newly developed SaaS product, retarget to your previous conversions and offer a 10% discount for being loyal customers. Always A/B test your remarketing campaigns. Monitor your views, CTRs and conversions. By testing your ads, you can increase your ROI without breaking the budgeting bank. As you know, sometimes the smallest of changes to your ads can multiply conversions - and bring in thousands more dollars for your business. Remarketing is a powerful advertising tool suitable for many different businesses. Have you used remarketing for your business or clients? What successes have you had? Share your advanced tips.